Color : Green, Black and Purple. Simply versatile. This unique Reversible necktie is a must have for those looking for that one accessory that will go a long way. The reversible design essentially gives you two neckties in one, allowing you to easily change the look of your outfit in a matter of seconds. 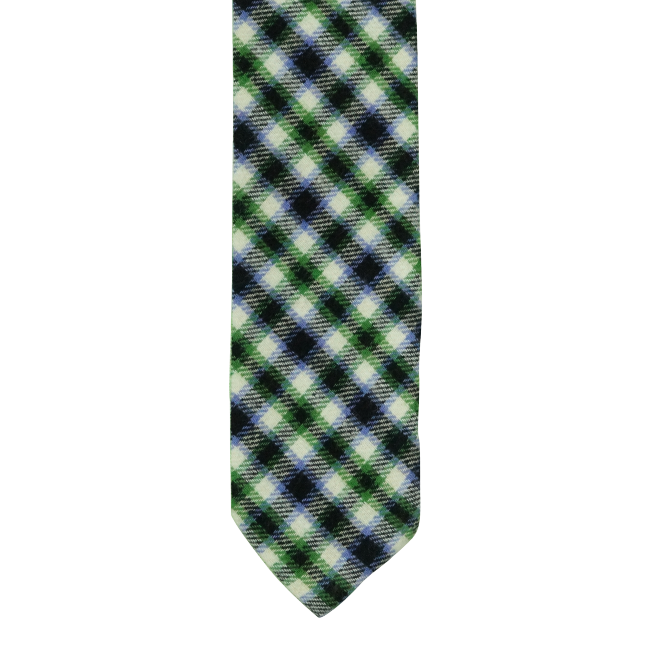 You can wear the Checkered pattern necktie as is or reveal the Solid chambray fabric on the reverse side. Whichever way you decide to wear it, pair it with your favorite pair of pants and a button-down shirt to achieve the ultimate contemporary look.